Surf’s up, dude! At Boca Prins, Arikok National Park, Aruba. Boca Prins is part of the Arikok National Park. It is a very small beach that only measures at about 55 meters. 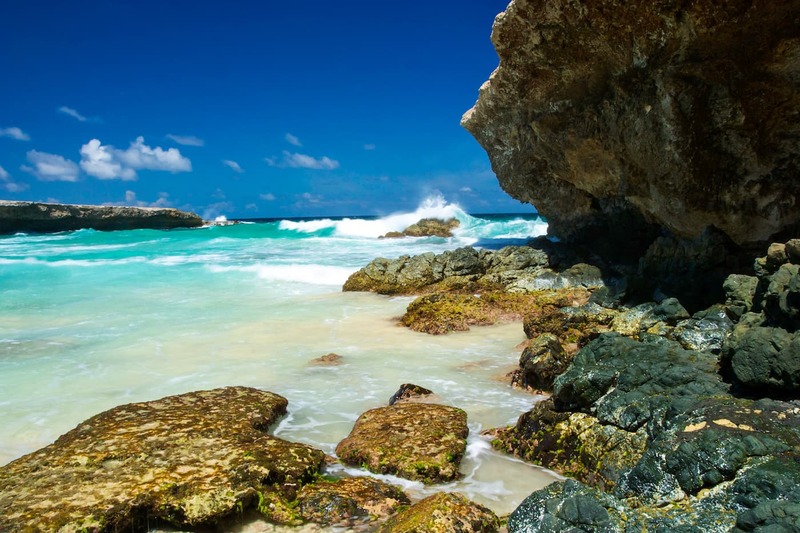 It is part of Boca Prins Bay, a bay surrounded by cliffs on the east coast of Aruba. Because of the currents and the high waves it is actually dangerous to swim or snorkel here, you have to be an experienced swimmer but it is not recommended at all. Boca Prins is worth visiting because of the environment, you can make some great pictures here. Remember though that the sun sets at the other side of the island when you are looking for typical sunset into the ocean pictures! Also surfing takes place here but there are better opportunities to do so at Bachelors Beach, Boca Grandi or Grapefield Beach. From Boca Prins you can also hike into Arikok National Park through the sand dunes, the beach stretches all the way there because of the constant trade winds from the northeast. As always at secluded beaches without facilities, make sure you prepare well before visiting and emphasize on renting or taking the proper transport. When you are looking for privacy and a beach off the beaten track with a rough ocean, Boca Prins is the right beach to visit. From Oranjestad make sure you enter Caya G.F. Betico Croes driving to the east. Follow directions to Cumana and eventually follow road 7 all the way to Boca Prins. The trip should not take more than 20 minutes.